I finished my internship! I got a 6 and a 7 and in the end it was a 6.5. Which is good! I’m so happy that I made it. Because of the difficulties I told you about it my latest life update I’m so relieved that everything turned out well. That maybe the newspaper wasn’t for me but that online is! Right now I’ve a week off to write an essay about my internship so I’m going to work on that. 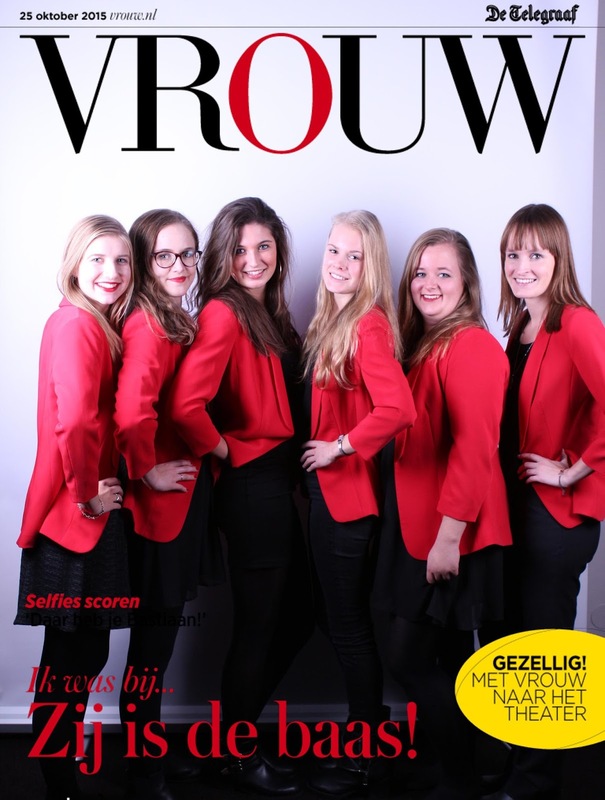 All the VROUW-interns helping at the theater premiere. Also, last week I totally forgot to upload the Thursday tips. I still haven’t figured out how I can schedule blogposts and totally failed to upload the blogpost. But I do have a good explanation for it. On Thursday I came home around 9 pm in the evening from my internship. I had to help a new intern and had a pep talk that she could do it. She only had two weeks to learn everything from me, which is a bit short. But that pep talk was longer than I expected so I came home so late. Then I still had to eat dinner, I showered and went to sleep. It was such a long day and I totally forgot the Thursday tips… I’m so sorry. Friday was my last day at my internship and it felt double. On one hand I was relieved. I made it, this week is sort of holiday and then I can go on with my study, go back to school. The other hand I don’t want to go to school. I wanted to stay at my internship. There was so much more to learn and to discover. But right now I've so much free time! Normally I barely had time, I typed my blogposts as fast as I could because in the evening I had to prepare for the next day and barely had time. Now I’ve ended this internship I feel like I can finish my study. I had moments that I wanted to give up. And now I’m like: only 1.5 years and I’m done. I can do this. I had a 6.5 as final note and that is good. (I wanted a 7 but knew it was going to be hard when it didn’t work out for the newspaper) So I’m actually really happy that I still made it. I had a blast there, did things I thought I could never do. 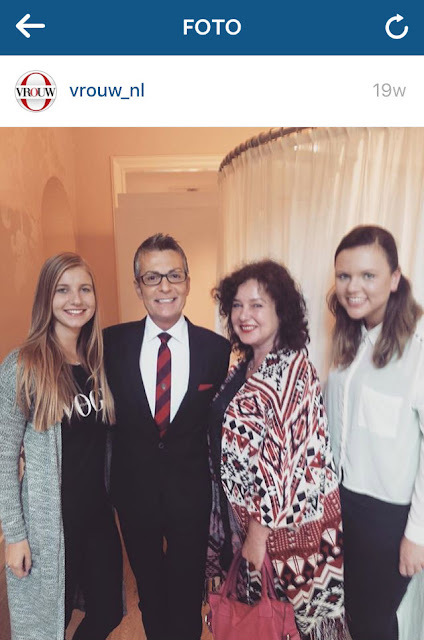 Interviewed some Dutch celebrities and American celebrities (Randy Fenoli I watched being interviewed and I interviewed cake boss buddy myself.) I learned to overcome the fear of calling, the fear of failing. Because I’ve failed, but I stood up for myself and learned that I shouldn’t take everything personal. I’m looking forward to the next half year of school. I’ve got so much free time. I really want to do more things outside then last year. I was always in my room working on school stuff, but now I feel like I shouldn’t be so shy and go out more often. I want to discover more. And hopefully this time I’m really going to do that! 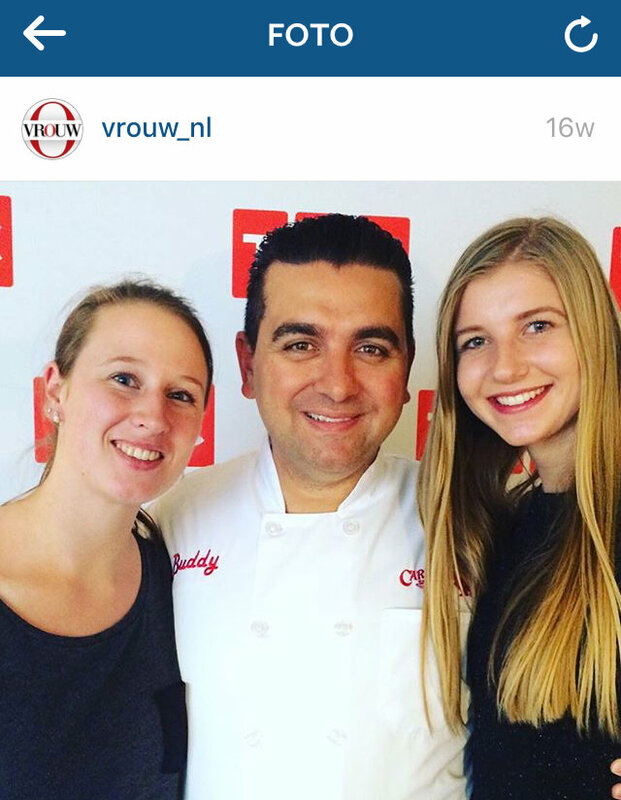 And, I'm going to google and see how I can schudule blogposts so I'll never miss the Thursday Tips again. 2 comments on "Life update #3 I Did It!"